Our next event in Lit will be on Sunday, March 10 from 4-7pm. 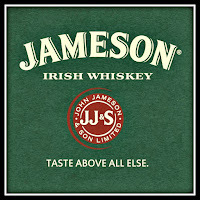 We'll be joined by Jameson's whiskey ambassador, the lovely Sibeal Bird. Sibeal hails from Ireland and as we approach St. Patrick's Day, what better time to try some of their famous whiskeys and learn about this storied brand? 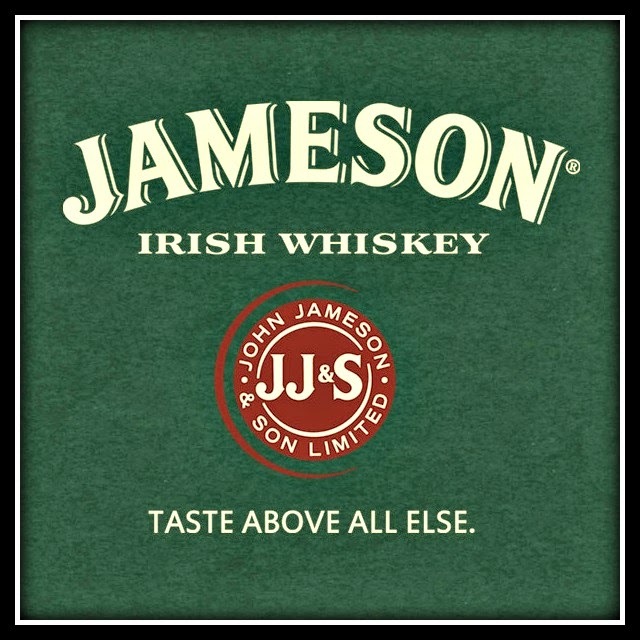 We'll be offering a flight including four expressions from Jameson, including Jameson 12 and Jameson Gold. We'll also be doing a little spring cleaning in our humidor. We'll have some great deals on a variety of brands as we make way for 2013's anticipated new releases. There's also a twist! We will unveil our wheel of prizes, and with a qualifying purchase, you'll be able to spin the wheel for a chance at winning some great prizes including extremely rare cigars like the 2012 Arturo Fuente Unnamed Reserva, Tatuaje Monster #5 (The Mummy) and the Añejo #77 Shark! Thank you to everyone who RSVP'd and joined us for yesterday's Aberlour and Montecristo Epic tasting. These RSVP tastings have become so popular, that we're doing another one in March! On Tuesday, March 26 from 6-8pm, we'll be joined by our friends Rick Zunt from Diamond Crown and Master of Whisky Breck Taylor as we feature four blends of Diamond Crown cigars and the Classic Malts collection of Scotch Whiskies. The tasting will cost $60 and include 6 Diamond Crown cigars, a Diamond Crown t-shirt and a dram of Cragganmore 12 year old single malt scotch. This is a value of over $100! We'll also have specials on some of your other favorite whiskies from the Classic Malts collection, including Glenkinchie 12, Talisker 10 and Oban 14, along with a special flight available for you whiskey fans. To learn more about the Classic Malts collection, click here. You'll get one Natural, one Maduro, two Maximus, and two of the new, limited edition Diamond Crown Julius Caeser! To learn more about this super premium brand made in the Dominican Republic by Arturo Fuente, click here. 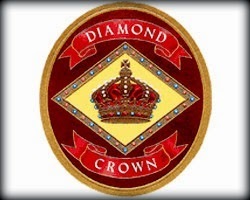 Diamond Crown events are quite rare, so we may not see another one for some time. If you wish to attend, please RSVP with your name along with the names of anyone else who'll be attending with you. I'll reply to confirm you're on the list. As always for these tastings, we're limited to 25 spaces, and every event like this we've ever done has been sold out! Another in the Manly Cigar series, the over 60 crowd. Translation: over 60 ring gauge. Massive cigars! 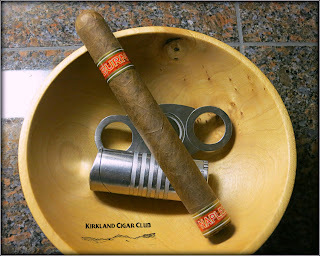 Anyway, other than some imperfections in the wrapper, the cigar starts out kinda peppery. The draw was loose and airy, but produced some major plumes of smoke with minimal puff. Wasn't all that bad really. Medium to full bodied, not the straightest burn, but that's to be expected with what looks like a damaged wrapper. Pepper diminishes somewhat about a third of the way through and the draw becomes less airy. Still has big clouds of smoke with minimal effort. Quit enjoyable! Honestly, I had my doubts that I would like it, but again, never judge a cigar by the first few puffs. It turned out to be a terrific smoke! 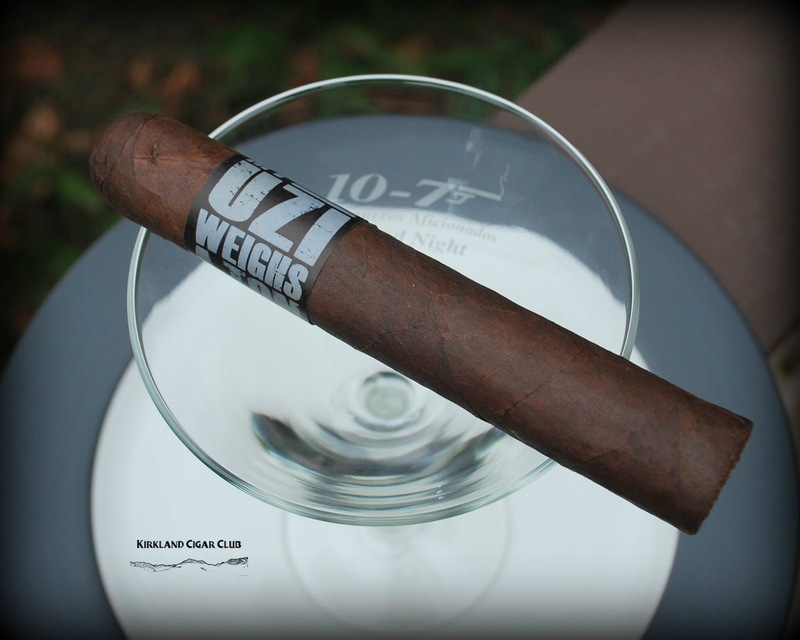 Loved the smoothness and medium to full bodied flavor - really a cigar that I could smoke any time of day - little pepper all through it, but just the right amount. I paired it with an ice-cold glass of my finest water. (hah) Yes, water. I'm giving my body a break after going out with friends last night - ate and drank way too much. The water was a nice change in my cigar routine too - cleanse the palette. The one thing that would improve this cigar is if they could make it a little less airy. Now it could be that I'm smoking a reject, I mean basically if you look at the wrapper it's not in real good shape, so I'm guessing that was the cause of the extra air getting into the draw, but other than that, it's right on the money. I finally made it up to the Lit Cigar Lounge on Friday night, first time this year, had a chance to talk to my friend Josh, the Lit manager. The Good news is that the 3rd Annual Washington Cigar and Spirits Festival will be held in October this year. He told me about a few minor changes in the number of vendors, but all-in-all it looks like it'll be even better than last year. If you've missed the last two, make sure not to miss this one - it is by far the BEST cigar event around! 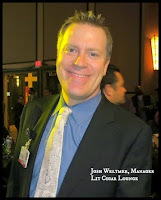 Josh also mentioned potential plans to expand the lounge. They're thinking about doubling the size by taking over the gift shop next door. He'll find out soon it that will be a reality or not. Stay tuned! PS - While I was up at the Lit, I had a chance to smoked an Alec Bradly American, paired with a Woodford Reserve bourbon with a splash of seven. Very surprised how much I like the AB American, but then again I really haven't found an AB that I don't like. 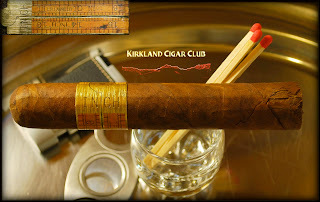 Excellent cigar at a reasonable price! Try it out! Take a look at the photo above. Remember how nice it was to visit a cigar bar, kick back with a libation and a cigar, chat with friends or watch a ball game? Ahh the memories! Help us make that scene a reality again! 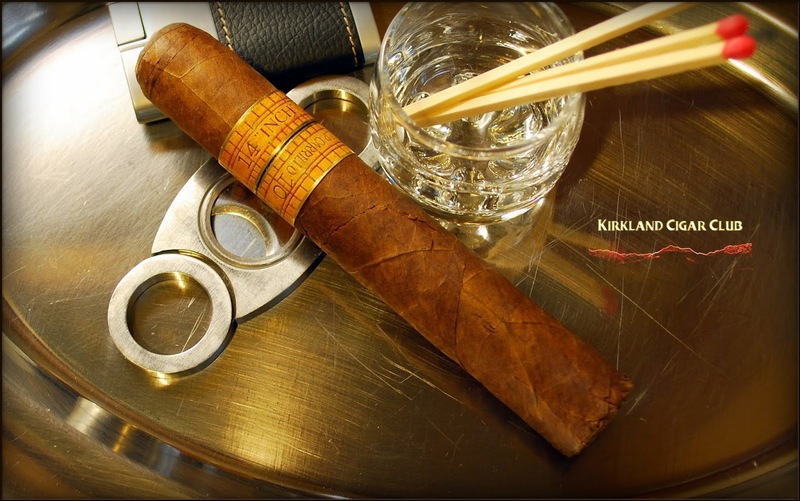 The legislature is now in session and once again local tobacconists & restaurants with the Cigar Association of Washington have put forth bills to modify the smoking ban to allow the return of Cigar Lounges and Cigar Bars. 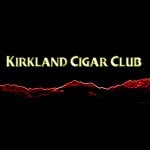 Rain City Cigar is supporting this event at The Vertigo Club. We invite you to attend and participate in this exciting event as well. 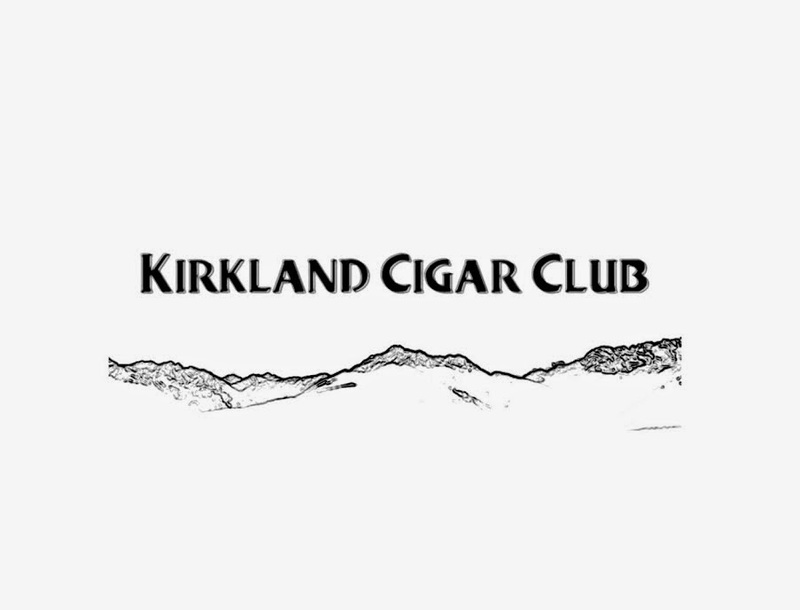 The Cigar Association of Washington is pleased to announce that a Fundraising event is set for Sunday, March 17th 2013 from 2-5 PM. 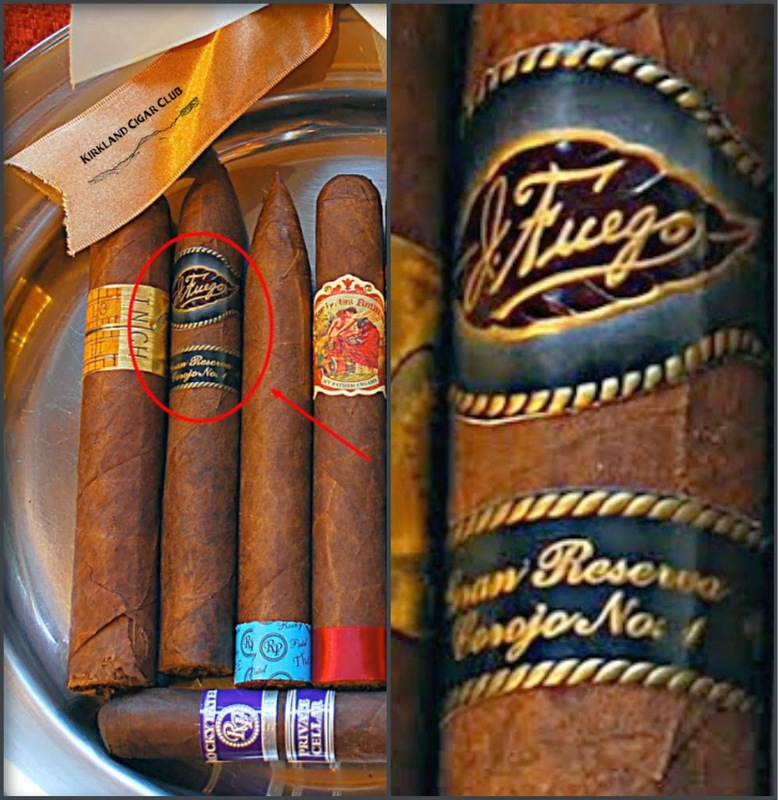 Top shelf signature cigars from several prominent premium cigar manufacturers. The RSVP only Montecristo Epic and Aberlour tasting scheduled for February 25 in Lit from 6-8pm is full! If you are on the list and are unable to attend, please contact me so that we can free up any remaining spots for other guests. For a limited time, we'll be featuring the Bernheim Original Wheat Whiskey at Lit. 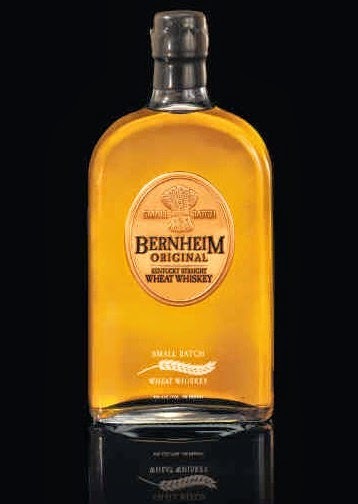 Bernheim is a unique product in that it is a straight wheat whiskey, meaning the mash is at least 51% wheat, whereas Bourbon is at least 51% corn. This gives this whiskey a softer quality and considerably less sweetness than its bourbon brethren. Here's a good review of Bernheim for those of you who'd like to learn a little more. Try it at Lit while we have it on the shelf! Those of you who are enjoy Makers Mark, which is a straight bourbon with wheat as part of the mash bill, may enjoy the profile of Bernheim and its soft full flavor. Also, like Makers, it goes great in a Manhattan! There are a couple of reasons why I haven't smoked this cigar until now. First, the name. I know, I know, what's in a name and how could it possibly change my impression of how the cigar will smoke, I mean it's not like the cigar is going to have a metallic taste, right? And secondly, this is a big boy, big-honkin, Maduro cigar, 6 x 60, man-size. Just looking at it you know you'll want to smoke this after that big Italian dinner, or think bigger, maybe after a porterhouse steak. You get the picture, you're gonna need a full tank to smoke this road hog. Skipping ahead - So what did I think? Didn't make it up to the Lit last weekend, my lovely wife didn't feel good, and you know me, I generally don't leave home without here. I'm planning on heading up the mountain this weekend, maybe we'll see you up there? H.R. 1639 / S. 1461 - Take Action! We are not featuring a specific cigar this time around. 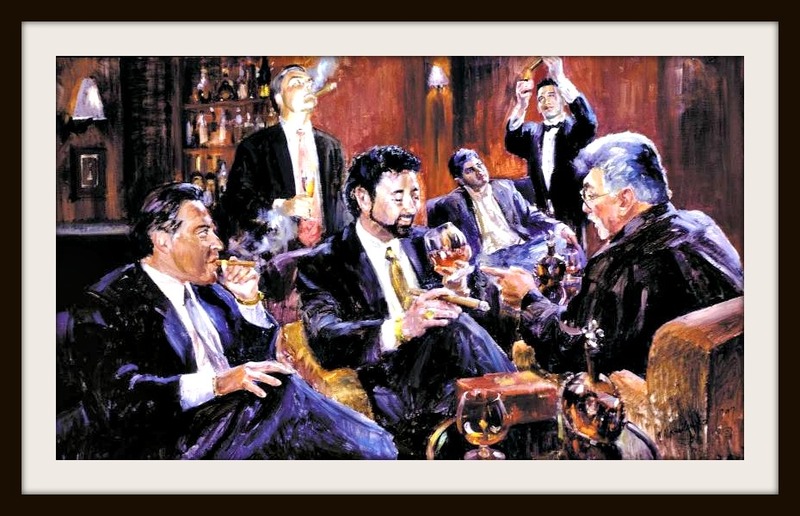 Instead we are featuring ALL of the fine cigar brands offered by General Cigar. 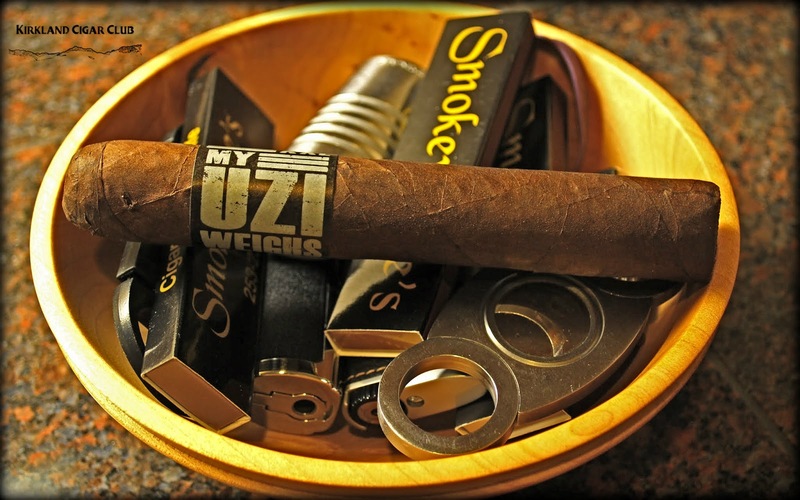 The always entertaining Patrick DeWitt will be here for this event to discuss all things General cigar and whatever else might cross his mind. THE 2013 LEGISLATURE IS IN SESSION AND WITH RENEWED EFFORT WE ARE AGAIN SEEKING TO MODIFY THE STATEWIDE SMOKING BAN TO ALLOW CIGAR BARS AND CIGAR LOUNGES IN CIGAR STORES. 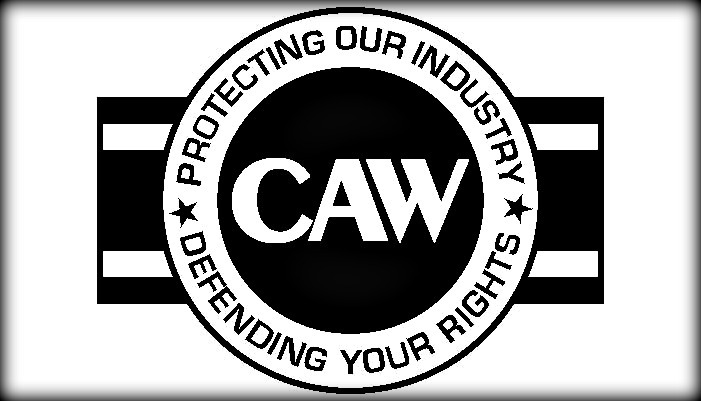 WATCH FOR IMPORTANT E-MAILS AND FACEBOOK POSTS. WE WILL INFORM YOU / CALL ON YOU WHEN THERE IS NEWS OR THE NEED ARRISES! Join us Friday, February 15 from 6-9pm in Lit as we feature Punch cigars and Bacardi rum. 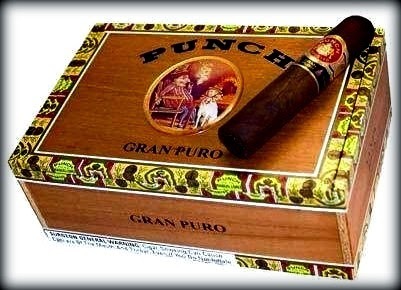 We'll have special deals on three different blends of Punch, including the Gran Puro, one of Cigar Aficionado's Top 25 cigars of 2012, and the Punch Grand Cru, which was Top 25 in 2011. We'll be making some great specialty cocktails with Bacardi Silver, Limon and Dragonberry, or if sipping rum on the rocks is more your speed, try the deliciously aged Bacardi 8. As always, prizes, specials and lots of fun! We hope to see you there. This very cool video about the Martinez Family Cigar Factory in New York City was sent to me, and I thought you would enjoy it. Many of the great things their customers say about their factory are true about Lit and our customers too! 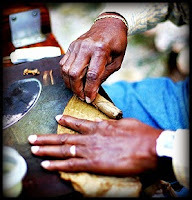 The friendships we build through our shared love of cigars is something very special! As you attempt to get out of the dreary Washington weather and travel around the country, I urge you to seek out one of these small cigar factories wherever you're visiting and spend some time. It's a great experience. You can visit the Martinez Family website here.Also, my good friend Michael Abdullah has a great lounge and factory called En Fuego in Las Vegas worth checking out on your next visit to Sin City. I hope you enjoy that movie and it inspires you to come back in soon for a cigar and a great conversation! Now that Governor Gregoire is out, this legislation has a chance of making it through the state houses and on to the new governor's desk. 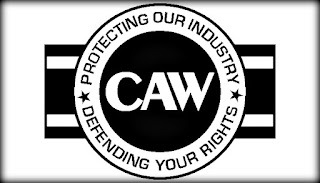 I strongly encourage you to attend the public hearing on Thursday (Feb.14) and support this game changing legislation that will return Cigar Bars to Washington State! Anyway, after all that good news I thought I'd enjoy a fine cigar out on the deck, I needed to clean the barbecue anyway. Rocky Patel Burn, Naples, Fl. Bottom line - I liked it! Overall a very enjoyable medium bodied cigar. Good taste, nice burn, OK draw, and just a slight bit of sweetness that kept me interested. Would I buy it again? If I were choosing only from the Rocky Patel brand of cigars - YES! This is one of their best in my opinion! El Gaucho Restaurant - beautiful restaurant, good service. Food? Meh, it was OK. I wasn't real impressed. Pretty $$$ too. Seriously doubt I go back, unless of course someone else is buying. Earl's Kitchen & Bar at Lincoln Square - Excellent! Good food, great service, reasonably priced, comfortable. We tried to get into Palomino just a few doors down, but the waiting list was too long. Pleasantly surprised that we found a table at this place - very nice! Definitely going back again! I'll be heading up to the Lit Cigar Lounge this weekend, haven't been there since last year - sounds like a long time ago, doesn't it? Might try to make it to the Punch/Barcardi event on Friday night. You never know, maybe I'll see you up there? Fantastic smoke, definitely the best cigar I've smoked all year. Lit it up during the half-time break and couldn't put it down, even when it started raining! Yeah, I was outside. Stellar cigar though - highly recommend! Get In, Get Happy - Classic! So what did you end up smoking for the big game? Thanks again to my daughter for the Christmas cigars! There are still a few spaces left for our special Montecristo Epic and Aberlour 12 year tasting on Monday, February 25 from 6-8pm. The tasting is $25 and includes a limited edition Montecristo Epic #2 cigar, Montecristo hat, Aberlour 12 year old scotch and a souvenir Glencairn whiskey snifter with our Lit logo engraved! There are only 25 spaces total for this tasting and most have been reserved. If you'd like to attend, please respond to this email to RSVP. The Casa Magna Colorado are back. This is an affordable cigar that was rated the #1 cigar in the world in 2008 and still packs a ton of flavor at a great price in the $7-$8 range. 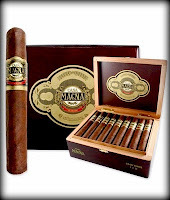 We also have a couple of Limited Edition cigars from Casa Magna's family, SAG imports. We've received limited quantities of the Casa Magna Domus Magnus 2012, which is a delicious box pressed Churchill. Here's a thorough review from halfwheel. The other limited cigar is called the Quesada Oktoberfest. These come out every fall in very limited amounts and we have a few boxes of the 6x65 Uber. It's a strong Dominican cigar with complexity and tons of flavor. This would be the spot where I let you know we also have a few different blends from San Lotano in stock. However, you bought every last stick from us at Saturday's event! Thank you for the great turnout and support. We will have San Lotano back in stock as soon as possible.